Christmas is in the air and I’m so excited about today’s post! 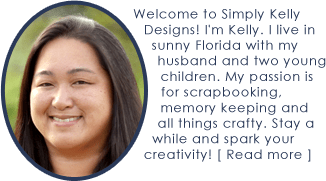 I’m sharing an easy Christmas stocking gift card holder, 31 other holiday projects from my Silhouette Challenge blogging friends and 3 giveaways (a Silhouette Cameo, a Silhouette Mint and a $50 Amazon gift card)! Every year, I give my children’s teachers something handmade and a gift card for Christmas. I like to dress up my gift cards so I created a Christmas stocking gift card holder. Use the Silhouette or scissors to cut out the two pieces of the gift card holder. Place the gift card on the inside of the sock part of the stocking. Add adhesive along the edges of the sock but not along the fold. I wanted my gift card to peek out of the stocking so I added adhesive below the gift card. Fold over the sock and smooth down the adhesive. Apply adhesive to the inside of the stocking top and fold it on top of the sock. Make sure to center the stocking top to the top of the sock. The Christmas stocking gift card holder is now ready to be gifted! The gift card slides in and out easily. I love this project because the gift card holder can be re-used. If you are interested in more gift card holders, check out my roundup of 16 gift card holders for all occasions. 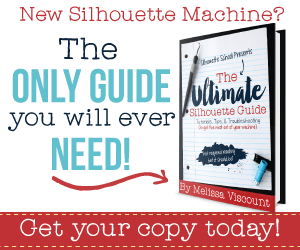 My Silhouette Challenge friends and I are sharing holiday projects on our blogs today, so check out the projects below for more creative Silhouette inspiration! To enter: just complete the entries in the Rafflecopter widget below. Email subscribers will have to click through to the post to enter. Kelly, this is a cute way of giving gift card! LOVE IT! How fun is this. So clever! Cute! That’s a great way to dress up a gift card. It’s a pleasure participating in the Sihouette Challenge with you this mont. This is my son’s first year in school and I also made his teachers a handmade gift for Christmas and stuck a gift card inside. I love your idea for dressing the gift cards up! Thank you for the chance to win! You may just grant my Christmas wish! Ooooh that is so cute Kelly!!!! What a grrrreat way to give the giftcard!!!! Love this idea! So easy and simple! I like it! Super cute stocking gift card holder! Such a cute way to dress up a gift card. I’ll be making a few for Christmas! Thanks! Thanks Eff! I’ll be making a few more of these before the end of the week. Glad they are so easy to make!